General notes (Photo by Ed Marshall, click below for more photos) Not often one has the chance to see a blade which was never completed. General notes (Photo by Ed Marshall, click below for more photos) Katana inscribed Hizen no Kuni Ju Omi no Daijo Fujiwara Tadahiro. The sword is in good condition with on some surface condition issues such as oxidation, surface scratches, etc., but nothing fatal or detrimental. 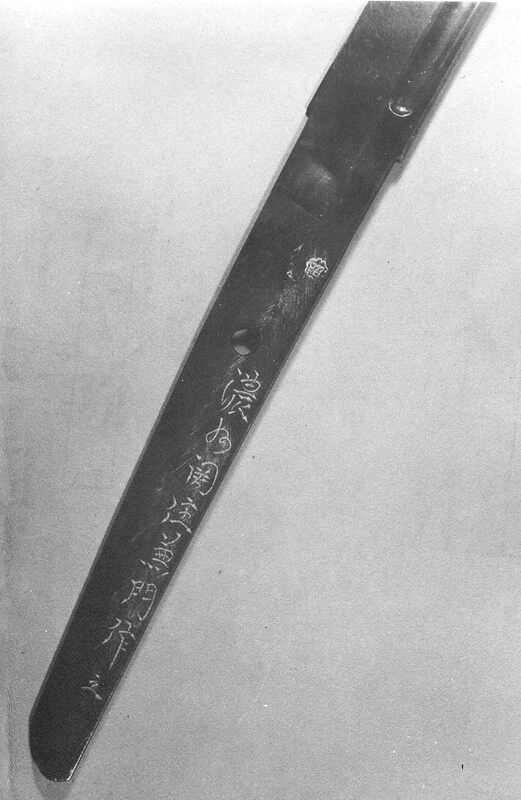 The sword also contains a body test inscription which translates as follows: Kansei hachi tatsudoshi yongatsu nijûichinichi – wakige dotanbarai Yamada Gengorô Yoshimutsu (寛政八辰年四月廿一日・腋毛土壇拂・山田源五郎吉睦) “Yamada Gengorô Yoshimitsu performed [with this blade] on the consecrated test ground a wakige armpit cut on the 21st day of the fourth month Kansei eight (1796), year of the dragon” Yoshimutsu was a samurai cutting tester (suemono-kirite, 据物斬手) of the Yamada Asaemon school. He was active around Bunka (文化, 1804-1818). 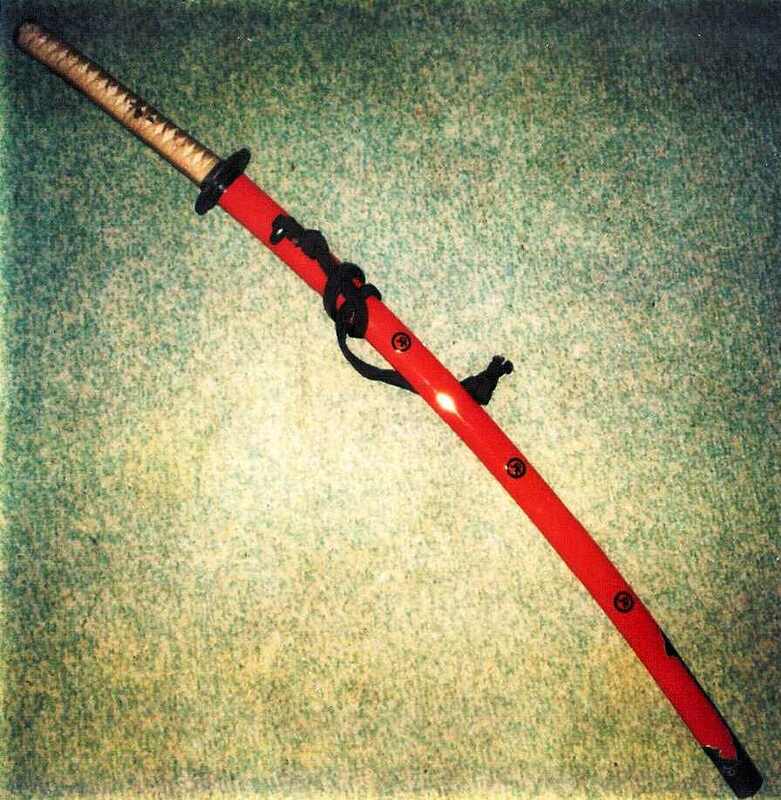 Saya notes The sword comes in a nice koshirae. General notes (Photo by Ed Marshall, click below for more photos) Katana signed and attributed to Kanemoto. Kanemoto needs no introduction as the name is a very famous one. 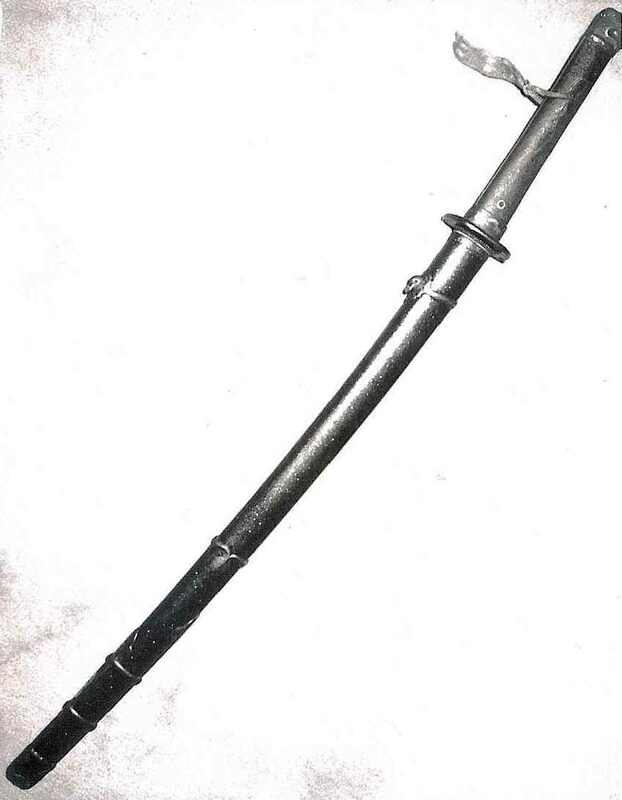 This particular sword has been attributed to the Kanemoto who worked in the Kanei era c. 1624 (see worksheet above). 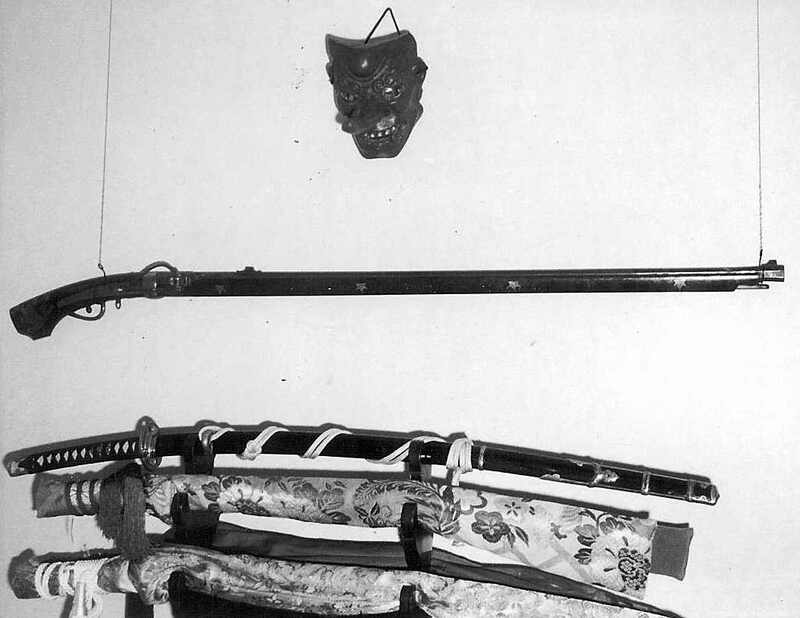 Hawley's list's two Kanemoto from the time period, one who produced midara hamon and one whom produced san bon sugi hamon as is seen in this example. This would seem to indicate the Yondai Magaroku Kanemoto (KAN 1586). As shown in the photos, the blade's surface condition is rather poor exhibiting scratches, light rust, small pitting, etc. Yet, there is more than enough visible activity seen to know that this sword would be beautiful in new polish. It is priced with consideration of the need for polish. Even in it's current substandard polish, this sword received a 73 pt. kanteisho per the NTHK at the Tampa Shinsa 2014 (see worksheet above). The new papers will be forwarded to the new owner upon arrival. General notes (Photo by Ed Marshall, click below for more photos) Gendaito signed Toto Ju Minamoto Yoshiharu Saku. This smith worked c. 1969. The sword is in good condition with on some surface condition issues such as oxidation, surface scratches, etc., but nothing fatal or detrimental. General notes (Photo by Ed Marshall, click below for more photos) Katana by dual makers Sagami no Kami Fujiwara Kunitsuna / Izumi no Kami Fujiwara Kunhiro. It is dated Feb. 08, 1649. Both of these smith's were of the Echizen Shimosaka Ha, worked c. 1661. Kunitsuna is rated Chusaku. There is also a body test inscription which reads SURITSUKE DOTAN SETSUNYU and translates as follows: mei: suritsuke dotan setsunyû (摺付土壇切入) Loose translation: “Sword cut through a body across the chest and into the earth below.” Literally: “Cross-chest cut (suritsuke) and entering the mound (dotan).” This sword was authenticated by the NBTHK and has a sayagaki by Kanzan Sato. disposing of Japanese munitions there for V Corps. Top sword: Black lacquer saya with silver han-dachi mounts. Blade is Oei Bizen, mumei, but in excellent polish. Kanenaga (Watanabe?). Dated 1936, made from "military cast steel," 2 shaku 7 sun 3 bu.